My first attempt was the ever-popular Tessuti Frankie Dress. I’ve made this up a couple of times before, but never quite been satisfied with the fit around the shoulders. This time I cut the size according to my measurements (M) with the long sleeve variation. Due to fabric restrictions, I cut just above the knee length mark but added a hem band for length. I also altered the neckline to accomodate a 5cm neckband instead of the drafted turn-under facing. The hem band was cut by placing the dress pattern on the fabric, tracing the hem line, adding 10cm length with side seam following same angle, then removing pattern and adding 6mm seam allowance for hem. 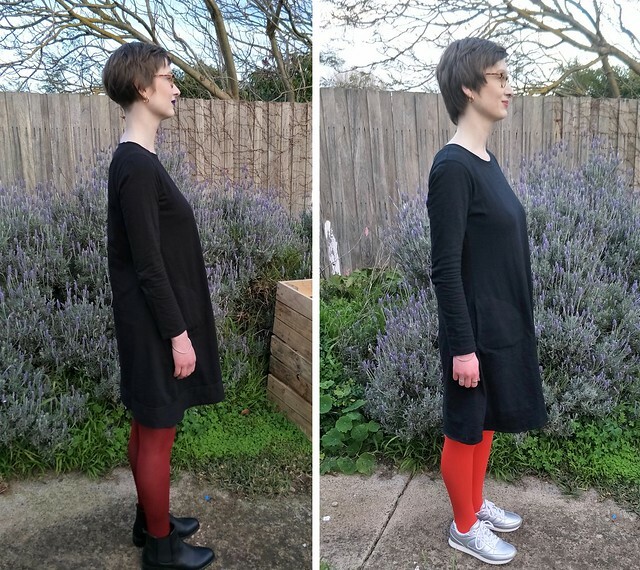 As the goal of these garments was practicality, I traced off a pocket pattern from a merino dress and inserted them in the side seams as per this tutorial, with the additional step of topstitching the pockets to the front of the dress for stability. The sleeves were also slightly widened as I find Tessuti’s sleeve draft very narrow. The next pattern I turned to (for reasons you’ll see below) was Ottobre #18. 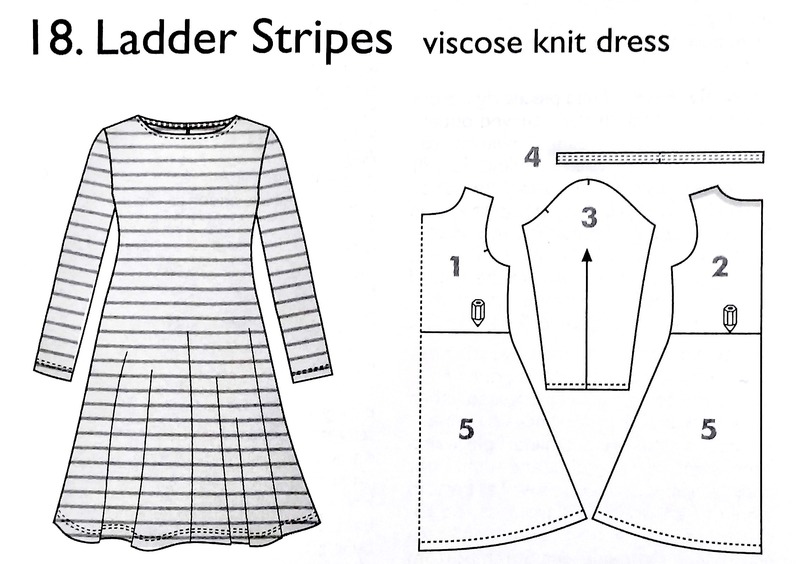 Ladder Stripes – viscose knit dress from their Autumn/Winter 5/2017 Woman issue. As the style of skirt wasn’t what I was after, I took the top half of the dress (there is a division line on the pattern) and altered it to have a more evenly flared body, rather than one that flared out dramatically from the waist. 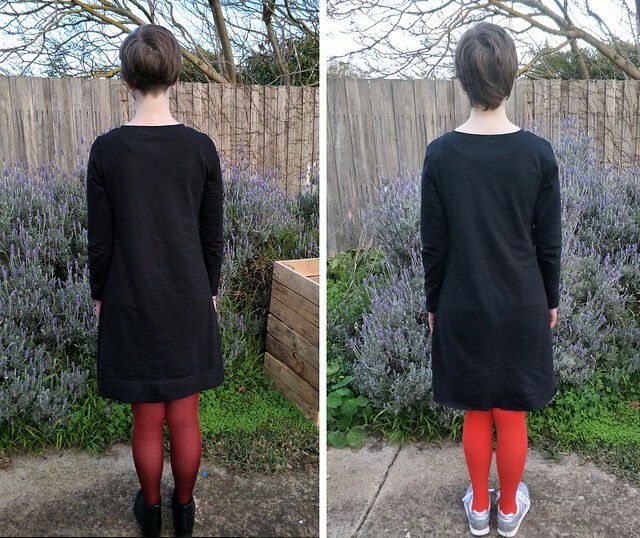 The method I used was partly based on Heather B’s Pattern Review post for drafting a trapeze dress from a basic top, but I traced the rest of the skirt from the Frankie dress after aligning the centre lines. If you didn’t have a pattern for reference, you could just draw the side seam down to your desired length before slashing and spreading, then curving a hemline to match. 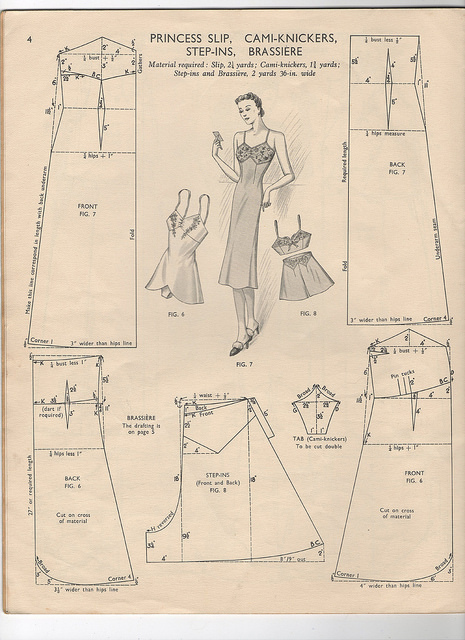 I suppose I could have just traced the Frankie dress from the underarm, but there was something in the back of my head telling me the underarm needed to be shaped with slashing and spreading to properly support the flared side seam. As the hem band and pockets worked so well last time, I added them to the Ottobre dress. This is the final result, Ottobre under Frankie (matched at shoulder points). 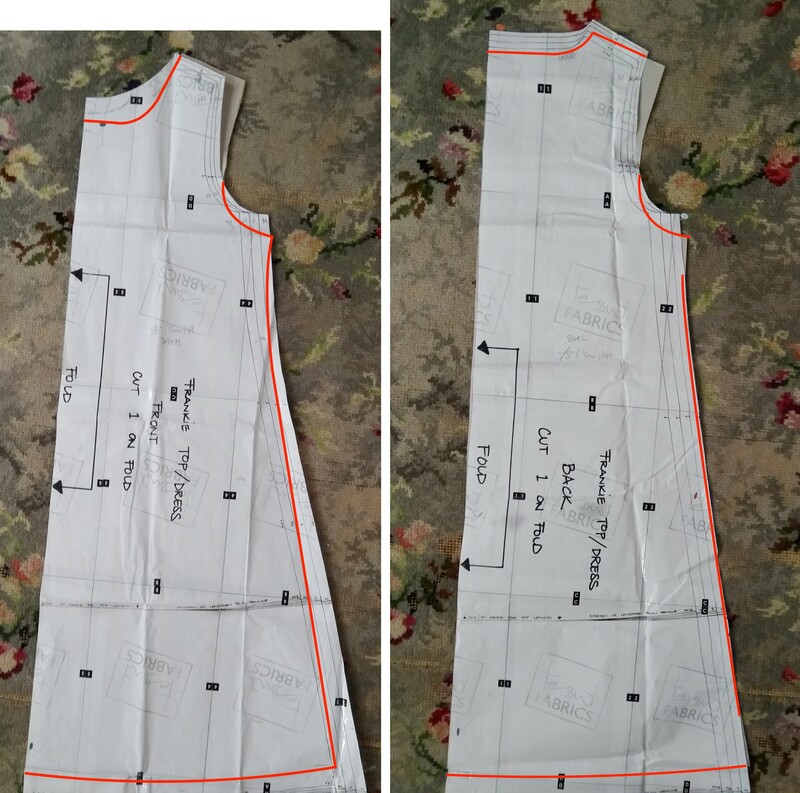 The front and back of the Ottobre dress were the same shape, so I maintained this when drafting (if you overlay the front and back the side seam shaping is the same). Whereas the front of the Frankie was much wider than the back, hence the side seams of the Ottobre and Frankie diverge slightly. Therefore, the overall width in the Ottobre is slightly less than in the Frankie dress. A note on the fabric: each dress is made in similar cotton slub from Aliexpress, of all places. They were having a big sale and I decided to take a chance on some knits which ended up about $10AUD/m. Imagine my shock when they were better quality than any knits I’d sewn with before, at a lower price! I’ll definitely be making more orders from this store (the exact fabrics with links are listed below). So, how do they compare? You can see in the photos that the Frankie has a slimmer fit through the upper body with a bit more swing in the skirt – this was obviously in the draft but I wonder if pocket placement and fabric choice contributed to its drape. 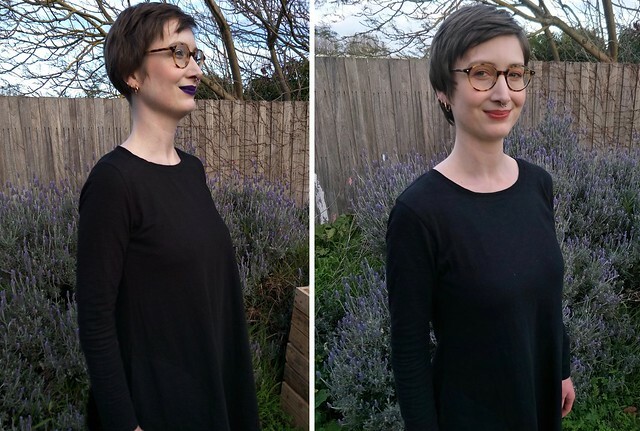 * The neckline on the Ottobre dress is a bit wider and more comfortable than the Frankie, but as I drafted them both on the fly, that’s an arbitrary measure. Left: Frankie, right: Ottobre. Frankie is slightly shorter and I think I placed the pocket too far down on the Ottobre dress by measuring against it. What makes the most difference for me is the shoulder fit. The shoulder on the Frankie is quite narrow, as I suppose one would expect in a close-fitted knit garment. But the armscye is incredibly tight fitted and placed high on the chest, so it sits right up in your armpit. It’s not a comfortable feeling. You can see in the above pictures how the Frankie armscye (left) sits right on the shoulder and curves sharply at the underarm into the armpit. The Ottobre armscye (right) is slightly dropped, and is much wider overall. 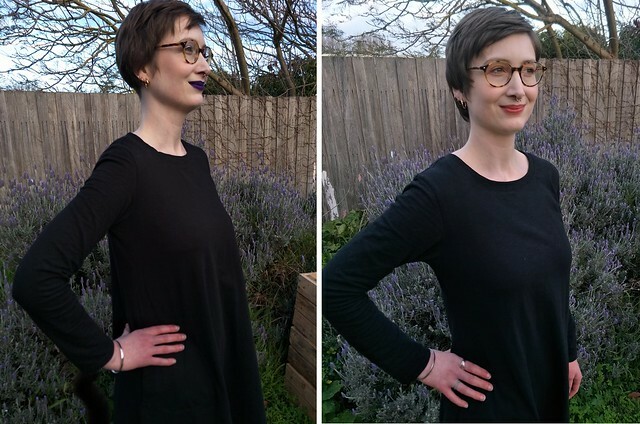 I understand the Ottobre dress has the stylistic difference of having a looser, slightly dropped shoulder, which might not be desirable if you want a shoulder seam that fits right on the shoulder bone and is very fitted through the sleeve. But the difference in comfort and practicality (for me at least) is huge. Shoulder fit has been a problem that has plagued me during all my version of the Frankie dress and top, so it’s time for me to set aside this pattern for good. 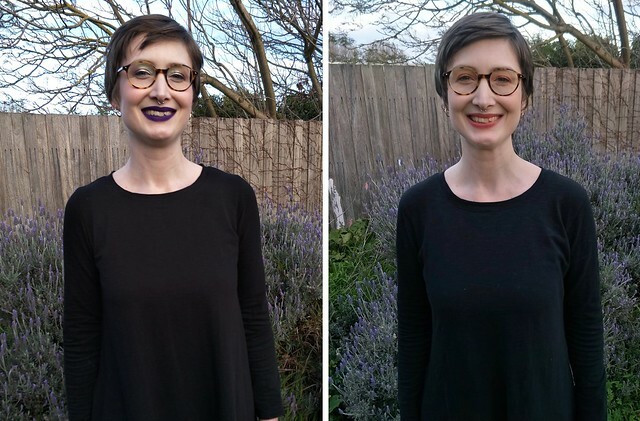 Why yes, I did have a haircut between these photos. It’s a shame that the Ottobre dress did not photograph well, as it’s the clear winner for me. 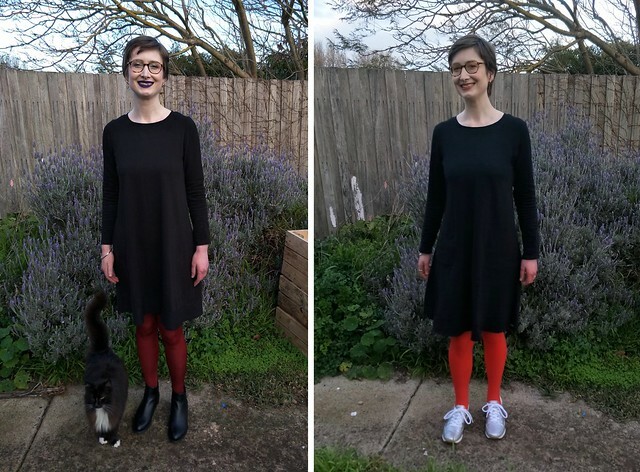 My slapdash drafting aside, it’s exactly what I’m after in a knit dress – enough room for movement but not oversized, with a bit of flare in the body. And at this point, I’m kinda over styles with very tight sleeves and extra swing in the body. You can see the shoulder seam needs to come forward about 1cm to sit on the shoulder “hinge”. It just needs a few little tweaks (forward head adjustment, shortened sleeves) then I’ll sew up a few more with short sleeves for summer wear. I am disappointed that I cocked up the drafting somewhere along the way – the side seam collapses at the hem, rather than flaring evenly like the Frankie. 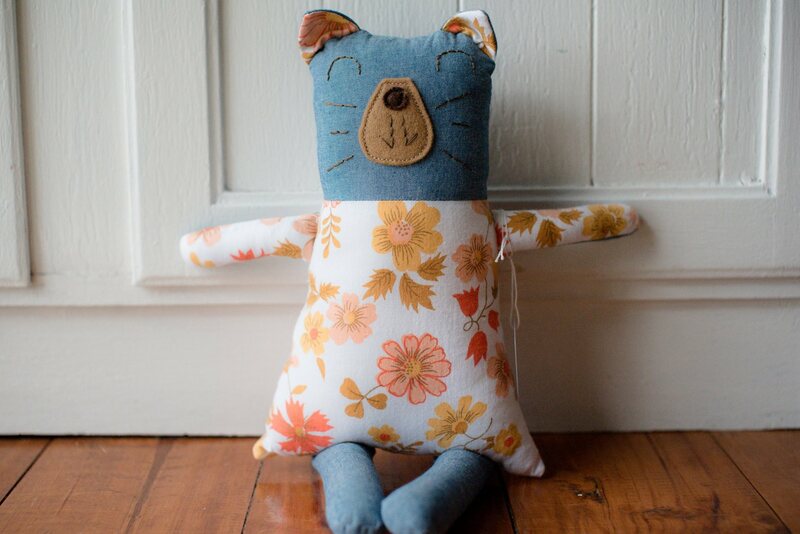 I’m kinda stumped as to where I went wrong and how to fix it, so if you pattern drafting experts have any ideas, please comment below! Above: my reaction when I realised my apparently successful semi-drafted dress had a collapsing side seam. Perhaps I messed up the slashing and spreading? 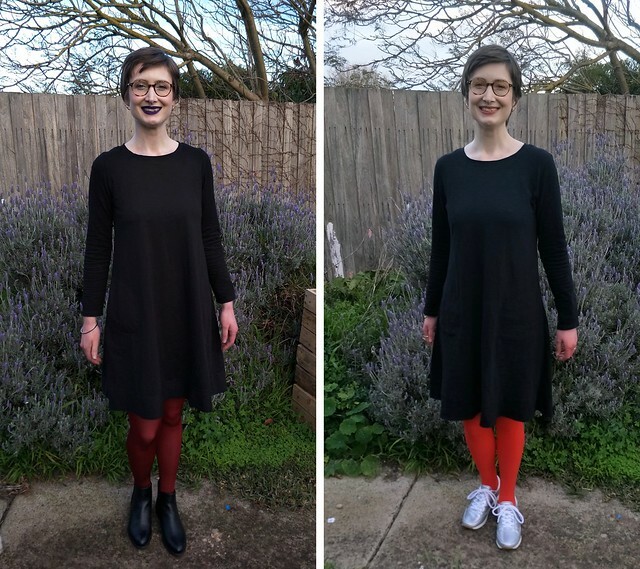 Although the Ottobre dress was my favourite, I have worn both dresses a lot this winter. It’s been really handy to have a uniform of sorts to rotate out when I’m not feeling up to choosing clothes. 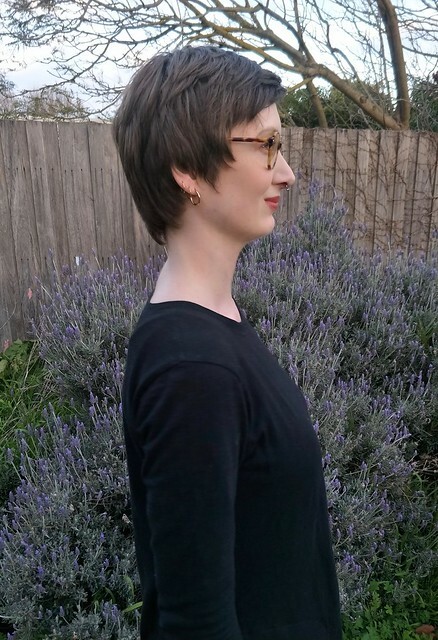 I also wonder whether my issues with the Frankie armscye are due to me being tall and therefore having a longer shoulder-to-underarm depth (though it’s not a fitting problem I’ve encountered before). 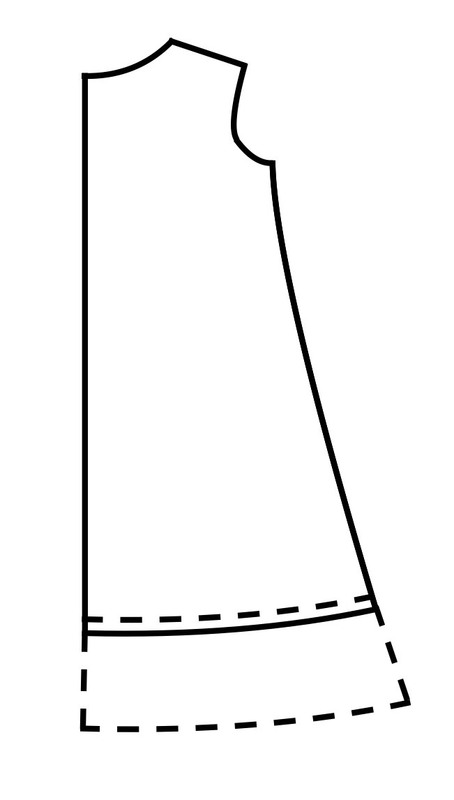 In conclusion, I’d recommend the Frankie dress pattern for those who prefer a slim fit in the upper body, who dislike sewing neckbands (the original pattern has a turn-under facing at front and sewn-on facing at back), and who prefer a PDF pattern over tracing. 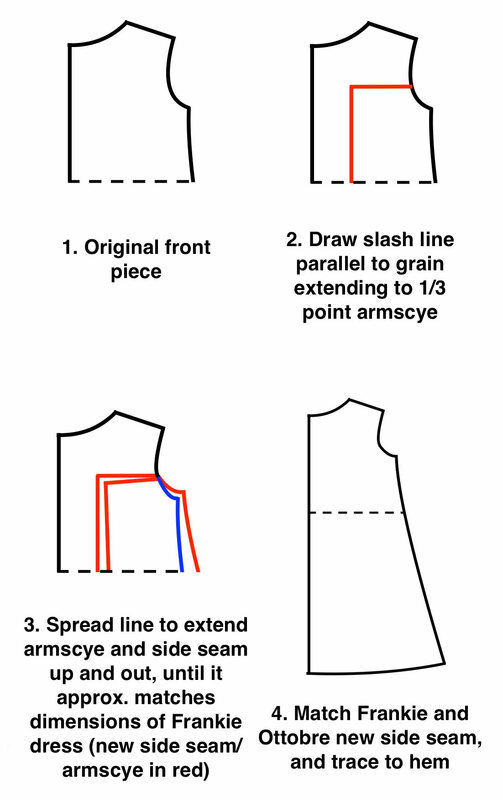 The Ottobre pattern would suit those who like more ease for movement, may have broad shoulders or larger arms, don’t mind a bit of drafting to get the shape they want, and prefer to trace magazine patterns than tape together PDFs. 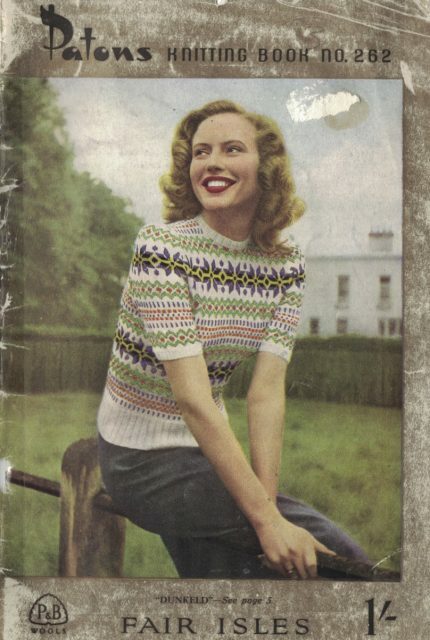 Pattern details: “This perfect jersey knit style is a fabulous wardrobe winner suitable for all seasons. The pattern features a flared hemline, set in sleeves and comes with numerous style options – two dress lengths, a top and four sleeve lengths (short, elbow, three quarter and full). The stitched down, back facing creates a neat and secure neckline.” Available as a PDF download or limited stock paper pattern in sizes XXS-XL. Fabric: 2m x 180cm wide 32s combed cotton slub lycra knit (K302622). 94% cotton, 6% spandex, 195gsm. 01 Black. From Aliexpress. Other materials: Clear elastic to stabilise shoulders. Pattern details: “Figure-hugging dress with a flared hemline. The back of the dress is cut as two pieces to keep the fabric requirement down. The beautifully shaped neckline is stabilised with clear elastic tape and finished with a self-fabric facing.” Available in Ottobre magazine, sizes 34-52. Fabric: 2m x 170cm wide 16s plain cotton slub knit. 100% cotton, 190gsm (K302545). 01 Black. From Aliexpress. Other materials: Clear elastic to stabilise shoulders. Lightweight fusible interfacing strips for pocket insertion. *The Frankie dress is made from a smoother, heavier knit with more spandex. The hembands added a significant amount of swing with their extra weight, perhaps moreso in the heavier fabric. Thanks Naomi! I feel like I’ve learnt a lot but the intricacies of drafting are still a mystery to me. 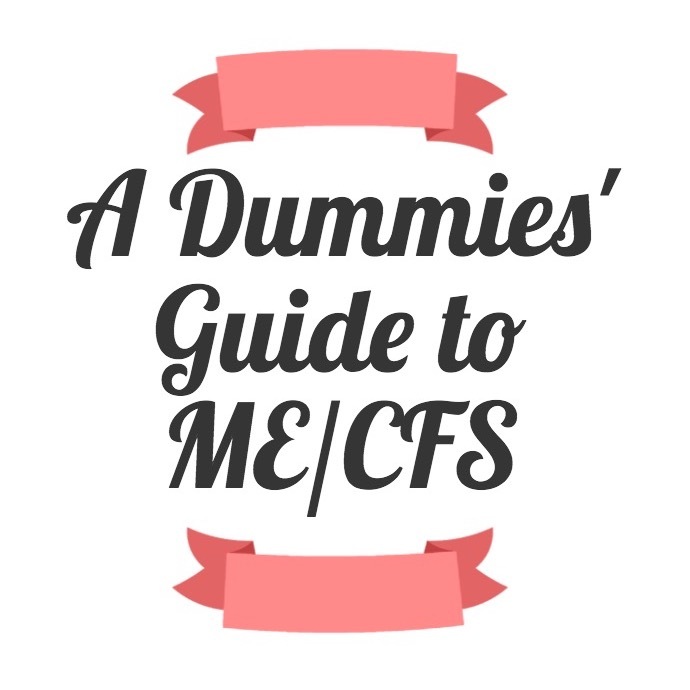 I feel like it’s one of those subjects that expands as you learn, so the more you learn, the more you realize you have to learn! Interesting! I like the Frankie not-so-wide neckline,skirt drape and skirt length slightly better. I like your lipstick color in the Ottobre, though. Both dresses are adorable on you. Haha, I made a conscious effort to wear different lip and tight colours to distinguish between the photos. The Frankie does look better in the photos….but I just like wearing the Ottobre more! Both are cute and look so comfy! I like the top half of the one on the right and drape of the bottom half on the one on the left. I know…very technical language in that last sentence! 😉Great work as always! Haha, I wouldn’t have put it any other way! I tried to achieve that outcome but didn’t quite get there. I love a pattern showdown! Shoulders are my bête noire too. The Lotte Jansdotter Esme is pretty forgiving on shoulder perculiarities if you venture back to (trapezey) wovens. Too bad about the Frankie. I agree with sewjanet on all counts. I’m hoping for a shoulder breakthrough–for you, Siobhan (I’m stumped). I hadn’t heard of that pattern before, thanks for the recommendation! Shoulder fitting is such a pain that I’ve come to the conclusion I’d rather sew patterns drafted for a broad shoulder than try to alter them myself. 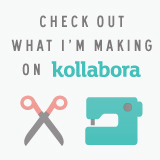 Thank heavens for Burda! I love this style of dress and Ottobre fit me well, so it doesn’t take much to sell me the Ottobre pattern. I need to add it to the list. I do hope you make it – it’s a fantastic pattern. You can’t go wrong with Ottobre, can you? I like both. There’s nothing I like better than a loose comfortable dress. Great job with the view. Thanks Linda! I’m really into loose dresses at the moment too. Or http://7pinedesign.com/a-line-skirt-slash-and-spread-method/. She mostly focuses on kids clothes, but her drafting info is top notch. Thank you for your helpful comment! I love 7 Pine Designs. So I kinda thought I *was* slashing and spreading by hinging at the underarm (see diagram), perhaps I should have spread from the neckline instead? 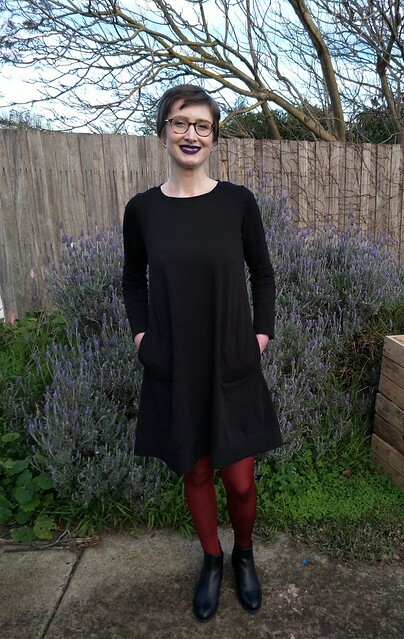 is there anything better than a comfy black knit dress? thanks for the comprehensive review on both of these – they look terrific but I feel you on the more comfortable shoulder fit. for me I really hate the feeling of both a too-tight/high armscye AND a too-low/loose one, so trying to find a happy medium can be challenging. I’ve had reasonably good luck with the SBCC Tonic tee shoulder/arm shape (I have narrow shoulders), although the actual sleeve itself was comically large in my size; at least that was an easy fix. A too-low armscye can be just as annoying, particularly in a woven where it really restricts movement. 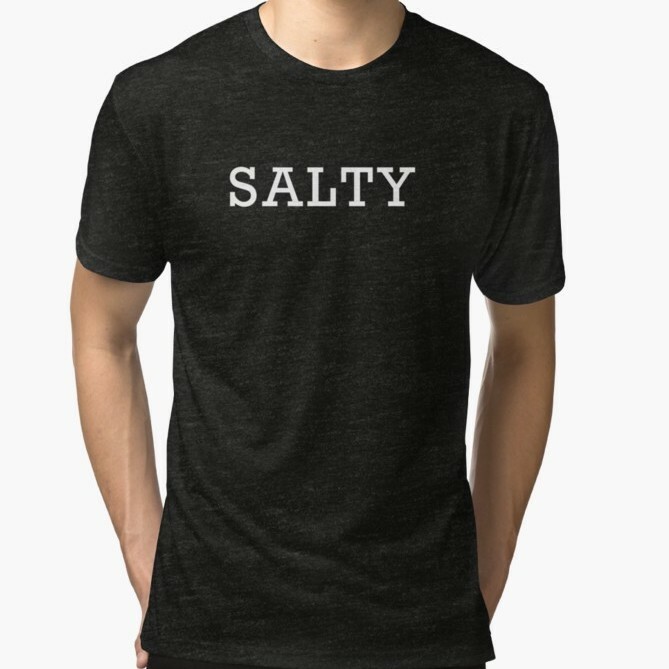 I’m glad you found a tee that works for you!